I grabbed some Sno Cone ink and created some clouds with MFT's Cloud Stencil. I die cut the card stock and added in a messy rainbow. 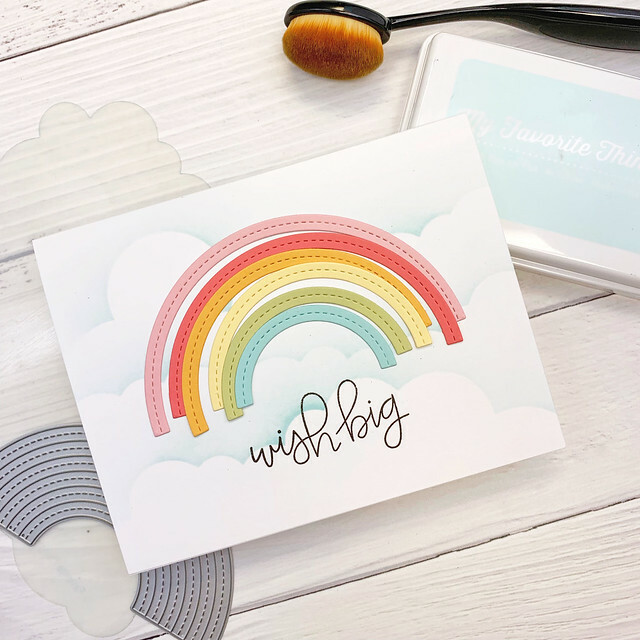 Last, I grabbed the Handwritten Happiness sentiment set....which I love....and stamped wish big under the rainbow. I kept this one super simple so that rainbow would pop! Check out the rest of the Design Team creations over on the MFT Challenge Blog. I hope you get a chance to play along too! Link up your creations over on the blog. Thanks so much for stopping in today! Oh, I like this! The soft colors of your rainbow are so pretty! 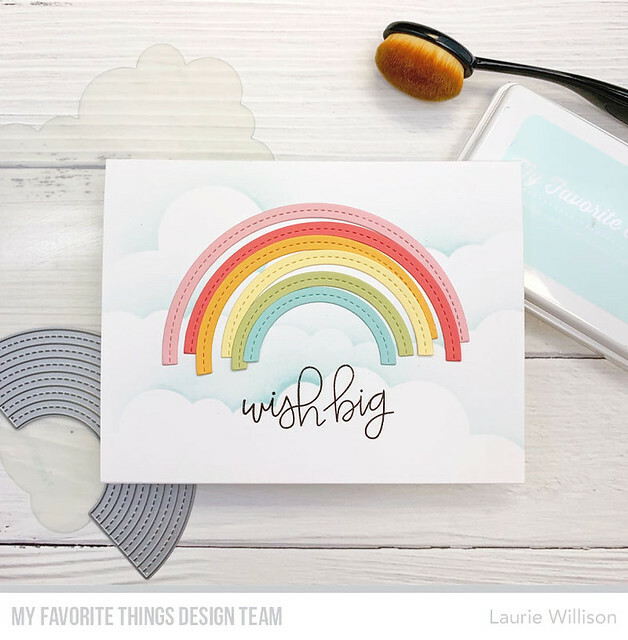 Love your fun and quirky rainbow!